Feeling the luck of the Irish? Time to break out the bagpipes and your finest kilt to celebrate St. Patrick’s Day. In light of observing the death of a great historical figure, Saint Patrick, we brighten the day with shimmers of gold, parades of emerald green, and the dancing of Irish jigs. Fun fact, the tradition of celebrating St. Patrick’s Day with parades began in America. The first recorded parade goes back to one held in New York in 1762. Today, New York’s St. Patrick’s Day parade has become the largest and longest parade worldwide with over 200,000 participants! Meanwhile in Chicago, the festivities continue with organically dyeing the Chicago River bright green to get residents, along with 400,000 spectators, off their feet in the spirit to commemorate this joyous holiday. However, the reigning champ of all celebrations comes from Boston St. Patrick’s Day Parade, with over a three and half mile-long parade! Holy Guacamolé! Going to a parade with big crowds, visiting the local pub around the corner, or simply enjoying a small get together in the backyard; no matter how you celebrate this holiday, it’s time to bring a little bit of the pub to your table with these savory Gordo’s recipes. Here are some sides that will be the pot of gold at the end of your St. Patrick’s Day rainbow festivity. Now here’s a side that Irish potato farmers would be proud of. Whether it’s boiled, mashed, skinned, roasted, made into a chip, a French fry, added to a roast, or even a cold salad; the potato is the most underrated and versatile vegetable there is. We give it a 10/10 for our favorite starch! Start by cutting up the potatoes into quartered chunks. I like to use red potatoes and leave the skin on them. Bring a large pot of water to a boil, add 2 tablespoons of salt and cook potatoes in the boiling water for about 30 minutes until softened. Drain the water out and mash up the potatoes with a fork or potato masher. 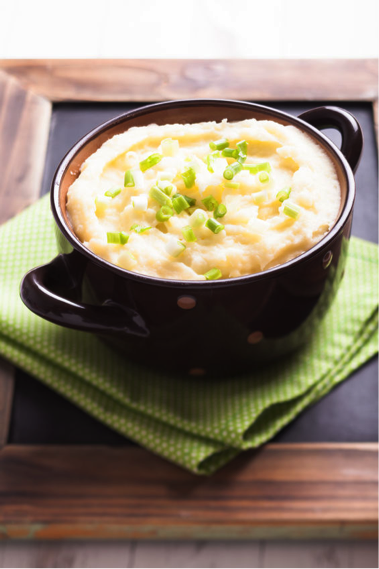 How mashed you make your potatoes is personal preference. Some like their potatoes chunky and some like them smooth, to each their own! Melt the butter in the microwave before incorporating it into the potatoes. Heat up the Gordo’s Cheese Dip and add that to the potatoes along with the chives and sour cream. Hearty ground beef and vegetables topped with extra-creamy mashed potatoes. 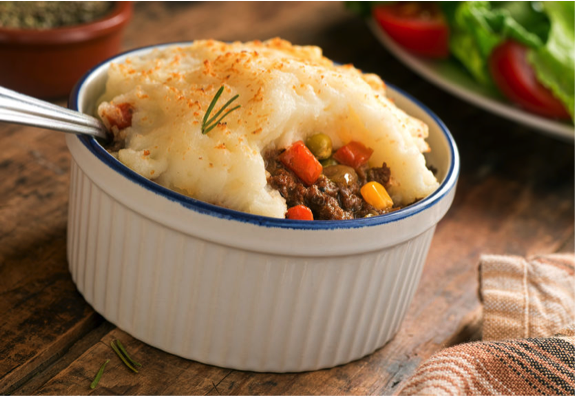 The ultimate comfort food: Shepherd’s Pie! Now in bite-sized portions for all your guests to enjoy. Say goodbye to traditional grilled cheese! This sandwich is taking this handheld delight to whole new level. 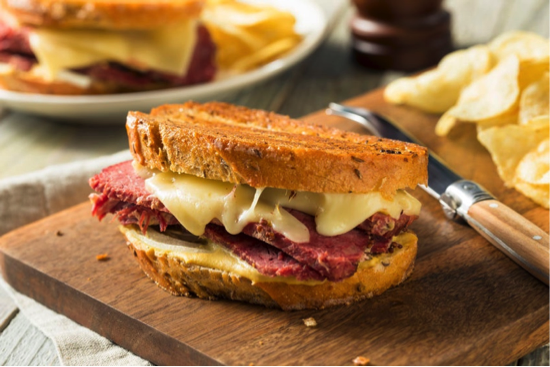 Savory corned beef that will match any style of soup well with our signature twist.